Balloch (Loch Lomond) is a popular place on a summer’s day, with people flocking to it from Glasgow. You will be fascinated by the surroundings. Enjoy the loch, the park, the castle and spend a lovely day at Scotland’s well known Loch Lomond. There is a barbeque area and a children playground. Are you a Mackintosh lover? Why not visit House for an Art Lover Glasgow? Take the train as Glasgow has fast and regular connections to Balloch, Stirling, Edinburgh and the rest of Scotland. 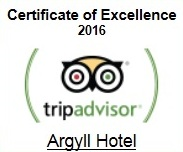 Book your accommodation at Argyll Hotel Glasgow by calling: 0141 337 3313.